I learnt this recipe from a TV show. Good combi with masala dosa. Grind grated coconut, puttani kadala and green chilly into fine paste. Then add pudhina and coriander leaves and grind into fine paste. Ready to serve with masala dosa. 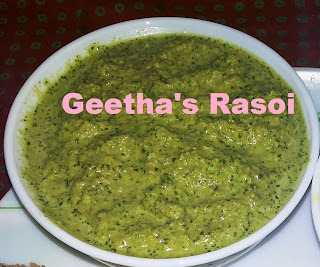 Its little spicy but goes well with Raagi masala dosa also.